Stress, anxieties and their related fears can not only be managed but actually overcome. Special deals, testimonies, further description below. Cloud access to Discipleship #2 Library (includes above downloads). Save $5! 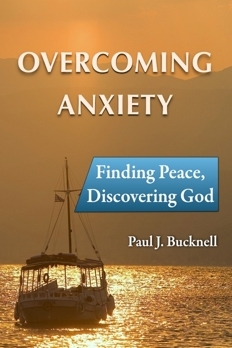 Overcoming Anxiety: Finding Peace, Discovering God with study questions. Biblical treatment of anxiety and worry. Step by step process on how to overcome worry. Other eBook formats available: ePub (iPhone, iPad, Nook) or mobi (Kindle/Amazon) formats. Study questions included for each chapter. 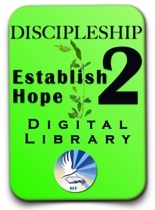 BFF Discipleship #2 Digital Library (D2). 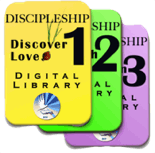 Our D2 (Discipleship 2) Digital Library is an excellent resource for only a bit more cost. The Overcoming Anxiety digital book, handouts and slides are included as well as two other of our discipleship 2 books: Reaching Beyond Mediocrity, and Running the Race. 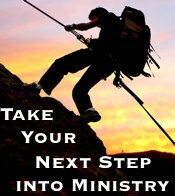 Many other discipleship articles are also included. BFF enables you to print for yourself and other. Provides ongoiing access to the D2 Library so you can view or download each item at your convenience to any of your devices. People worry because they were never designed to handle the stresses of life on their own. God wants to help you. Your Creator has designed a way to experience His inner peace while walking through the stresses of life. The bridge illustrates the pathway across the difficulties of life to His peace. 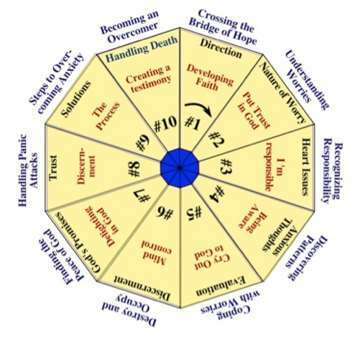 Each of the ten sessions takes you one step over the bridge. Some steps are more strenuous; others more reflective, but each takes you to know and regularly experience the peace of God. The sessions are listed below. I have found your web site on dealing with Anxiety very helpful. It is a wonderful resource showing a huge understanding of the condition and assistance in overcoming anxiety. It has been a wonderful guide to me in some recent troubled times. "With the men we minister to through the Foundation, a major emotional dysfunction is fear in all its strongholds. Armed with the information and tools from BFF "Anxiety" series we have accomplished total freedom in this area of core fears. After the men have successfully put into practice this understanding and revelation, we have found the rest of a Christian 12 Step program which we use more easier to work. The Anxiety series has been the glue which has held everything else together. So it has had a tremendous impact on the lives of the men who have been affected by addiction. In a nutshell, BFF has been instrumental and invaluable in the release and recovery of souls trapped in addiction and emotional dysfunction." I was looking up some thoughts on renewing the mind. I've been in a Bible study ... working on Romans 12. I loved your messages. They touched my heart and I shared them with a friend as well! I look forward to God revealing my strongholds and working through me to overcome many worries/attitudes that have controlled my life ... for too long. "Paul, I wanted to say thank you so much for this wonderful and insightful seminar. I am battling worry and anxiety as a Christian and this information has spoken to me and I believe it is a turning point in my relationship with the Lord. The truths it spoke are amazing and it has caused me to start meditating on the Word and to really take a look at the causes of my wrong thoughts. I just needed to say thank you for this ministry and may God richly bless you and I want you to know that I will be showing this to my family who are also saved but battling with doubt and lack of trust in the Father. Thank you so much Paul." Who would think that taking accountability for our own worries would produce such dramatic changes in our lives?! But it does! This session clearly explains the power behind accountability and the steps to free oneself from the burden of anxiety. Just felt a lump in an unusual spot? Heard you might lose your job? Or do you just have some whacky fear that is keeping you up at night? Session five provides the ammunition one needs to fight against overpowering thoughts. Most people just dream of peace. They have never experienced it. Anxiety, stress and fear are their companions. In session seven, we not only clearly explain how temptations affect us but also illustrate how God's amazing promises counter these temptations. These lessons are so practical that they beg us to apply them. Come and look at some amazing words of God that actually guarantee real peace if we abide by certain steps. These last two sessions condense all the former lessons into three short steps. Remember peace results in a series of decisions. There is no magic or surprise, just simple straightforward decisions we need to consistently live by. This training enables each of God's people to tackle most any anxiety that you or a friend might have.